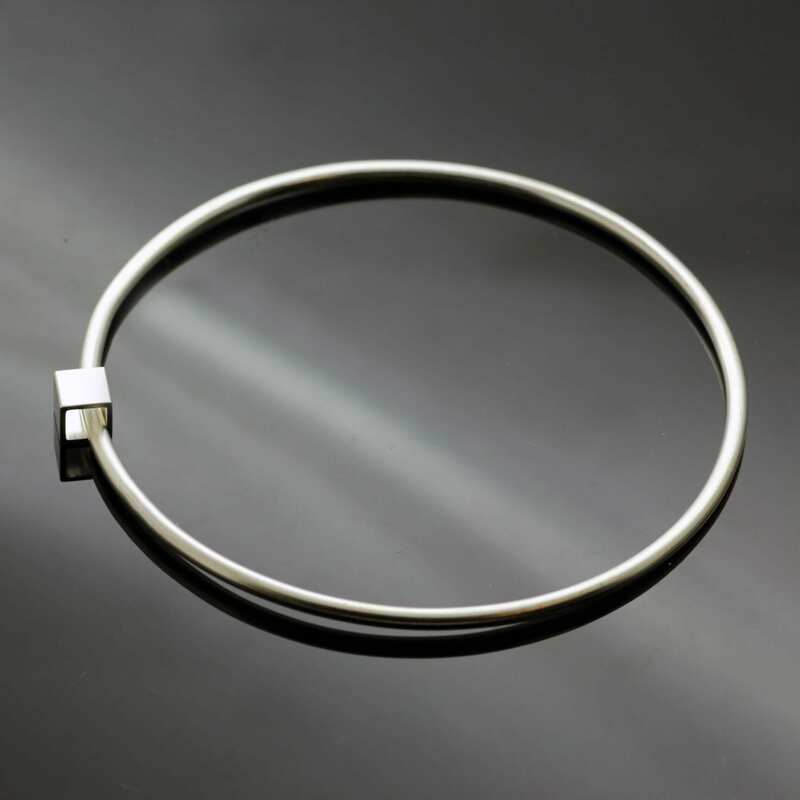 A modern, minimalist Sterling Silver cube bangle; designed and handcrafted by Julian Stephens as part of his “Cube” collection. 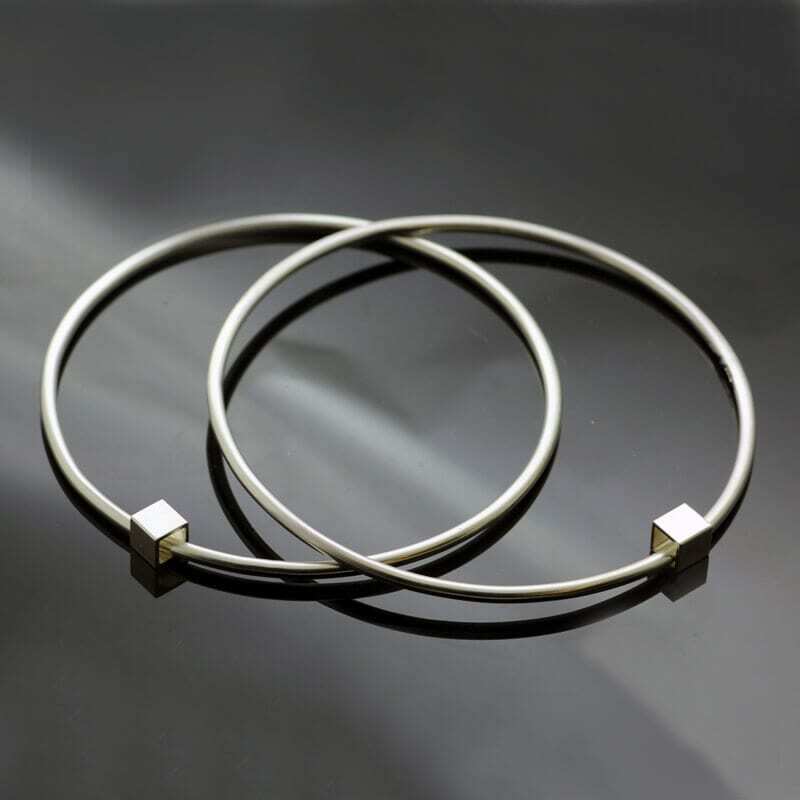 This contemporary Silver bracelet is inspired and informed by the sleek, clean lines and forms found within modernist architecture, sculpture and design. 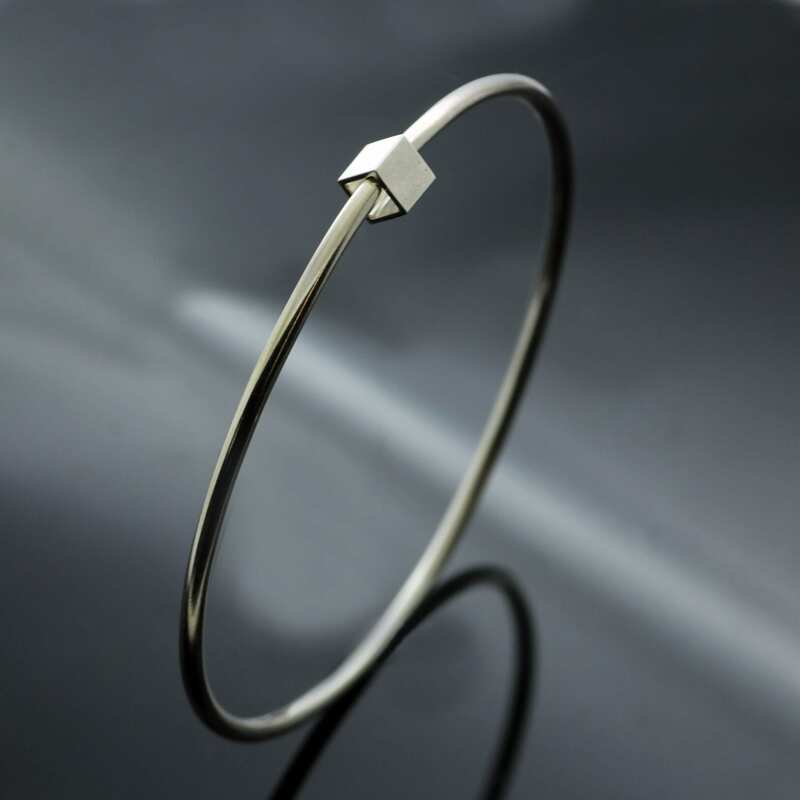 The three dimensional hollow cube charm measures 5mm and is crafted from solid hallmarked Sterling Silver, mounted securely onto a simple solid silver bangle this beautiful piece is hand finished with a high shine polish to add a subtle touch of sparkle. 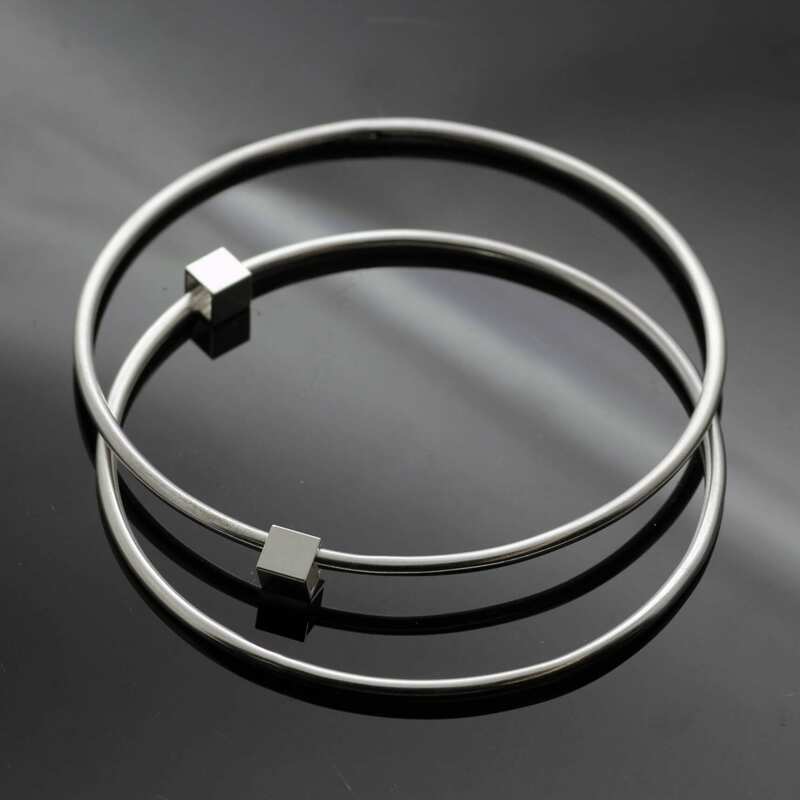 These bracelets work beautifully in a stack to create a playful, modern accessory.